Be one of the first 2,000 to sign up and you'll get a free package of new Culturelle® Kids Probiotics Daily Probiotic Formula! I just signed up and it took less than two minutes to complete the form. 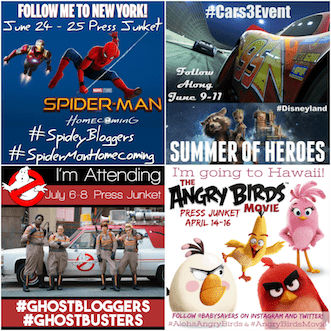 While you're there you can also get this Culturelle Kids printable coupon to save $5 on your next package! 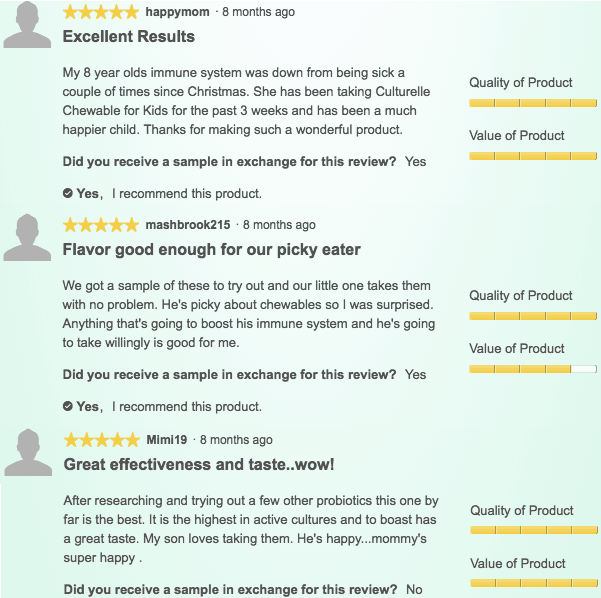 Why Should Kids Take Culturelle Kids Chewables? 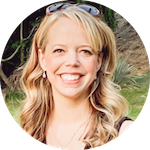 My experience with probiotics: Personally, I'm a big believer in probiotics for kids. When they were younger two of my nephews had digestive issues that totally turned around after their own doctors ordered them to start taking probiotics! Culturelle Kids Probiotic Chewables are a safe way to populate your child's intestinal tract with good bacteria to help keep her healthy and support her immune system. It also helps alleviate occasional digestive upset, including general discomfort and occasional diarrhea. When is the worst time for a kid to get sick? Ok, there's never a good time for a sick child but one of the the worst is when you travel, right? Culturelle Kids can help digestive upset and occasional diarrhea. 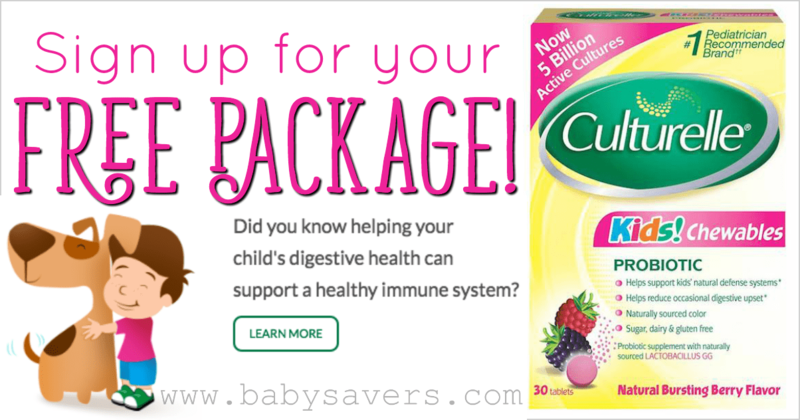 Children 3 and older can take Culturelle Kids berry-flavored tablets before and while traveling to help build up their healthy supply of good bacteria. That will help reduce digestive discomfort! 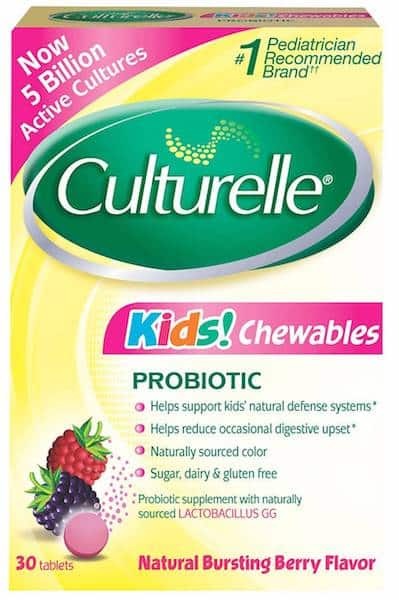 Can kids eat yogurt instead of taking Culturelle Kids Probiotic Chewables? Each tablet of Culturelle Kids contains five billion live active cultures of the #1 clinically-studied probiotic in children. A child would have to eat over four probiotic-enriched yogurts (not just your child's favorite yogurt brands) to get the same number of live cultures that's in Culturelle Kids Probiotic Chewables. Culture Kids Probiotic Chewables are the #1 pediatrician recommended probiotic brand. Sign up today to try a package for free! View the details about the medical information I've shared on Culturelle's website. This post provided by Culturelle but all opinions are my own. Please visit my Disclosure Policy.